and receive 101 fitness tips that rock! If you’re looking to detoxify your body, you don’t have to fall victim to the latest cleanses, fasts and terrible concoctions (ahem, cayenne pepper anyone?) that starve you for days. The truth is, your body already comes with several built-in detoxification systems—your colon, liver, kidneys, lungs and skin to name a few—and they work to naturally eliminate toxins and keep things functioning properly every day. Luckily, there are ways to help your body do what it does best by aiding the natural detoxification processes already taking place—specifically with what you put in your mouth. There are certain foods that act as a catalyst for the detoxification process and help your body to work at its highest potential. Below is a list some of the best foods and recipes to naturally detoxify your body (without starving it!). Pro tip: Drink a full glass of room temperature water in the morning spritzed with lemon juice hydrate your body and kickstart all your body’s systems! Pro tip: Drink a full glass of room temperature water in the morning spritzed with lemon juice to hydrate your body and get all your systems on go! Full of good for you ingredients that nourish your soul and replenish your body, this detox vegetable soup is one of the most popular recipes on our website and for good reason. It’s the perfect dinner for a cold winter’s night and will fill your home with delicious aromas as it simmers. Kale is one of the healthiest foods on the planet which makes it a great base for this delicious and healthy salad. This recipe is also loaded with all sorts of veggies including colorful bell peppers and carrots which have wonderful health benefits including beta-carotene and vitamin C. Plus, it’s topped with simple but delicious vinaigrette that brings everything together. With so many delicious ingredients in this salad, you’ll forget you’re eating healthy! The salmon and avocado bring good-for-you, satiating fats while the sweet potato, kale, apple, cucumber and tomato give your body an extra boost of nutrients. Try a different spin on chili with this roasted red pepper and quinoa version. This vegetarian recipe takes less than an hour to make and is packed with protein and fiber. Beets are one of the best detoxifying foods and this salad is filled with good-for-you ingredients while still tasting delicious! Let this salad be your go-to when you’ve been indulging in a few too many Christmas cookies. Smoothies are a great way to start your morning and the pineapple base of this smoothie means it’s a great way to detox too! Plus, you can make this smoothie bowl year round using fresh or frozen fruit! A few too many cocktails this weekend? This Cleansing Green Radish Soup is the perfect clean recipe you need to get your body back in shape. Dairy-free, gluten-free, and packed with veggies, it’s a great meal to make for the family or to take in you lunches all week! Sometimes after eating too much unhealthy food, the only thing you want to put in your body is juice! Our Carrot Apple Ginger Zinger is the perfect shot of nutrients to your system to help detoxify without loading you up with more calories. Protein, fiber and healthy fats – what more could you want?! This salad is an amazing source of vitamins and minerals, has great fresh flavor and crunch as well as avocado, beets and pecans all topped with a dijon maple dressing. Yum! Soups are a winter staple, but they’re also a great way to load up on the veggies and hydrate your body. This chicken tortilla soup is made in the crockpot with delicious Mexican flavors and a healthy potion of kale. This unique fruit and veggie combo salad combines kale, edamame, mango, grape tomatoes, avocado, quinoa and red onion for a filling and healthy meal any time of day. Your body will truly thank you! Despite the name, this vegetable medley soup doesn’t taste like a “diet” recipe; this healthy dish is so delicious and so filling you won’t believe it has under 200 calories and is packed with 11 grams of protein per serving. It’s LOADED with veggies and totally customizable so you can add in your favorite veggies or take out ones you don’t love. We love Green Goddess dressing! And in this salad, it’s the perfect compliment to the quinoa, tuna, and fresh spring veggies! It’s easy to prepare ahead and bring to a gathering or to have for an easy side dish (or main!) during the week. Hello Chris, I have one more question. sorry to bother you. I purchased your book "Choose This!" which I love. My question is the nutrition facts on the book is that for the whole entire recipe or per serving portion.? which is not listed. for example: Grilled Chicken Parm Serves 4 305 Cal fat 13g protein 44.5g carbs 3g fiber 0.5g is this for the whole recipe or if I divided by 4 that will be the nutrition fact for the portion? Hi Brenda - the nutrition information listed is for 1 serving. So one serving of the Chicken Parm is 305 calories :) Hope that helps! how does a detox day looks like? do I eat let say the "Detox Healthy Soup" all day? Hi Chris, Thank you so much for this info. I am very happy to know that I don't have to spend hundreds of dollars on shakes detox programs that leave me starving anyways. I will follow your advise to a new me, and new healthy living lifestyle. Thank You SO much! © Get Healthy U 2019. All rights reserved. Get Healthy U is a registered trademark of Motivating Bodies, Inc. and cannot be used by a third party without permission. 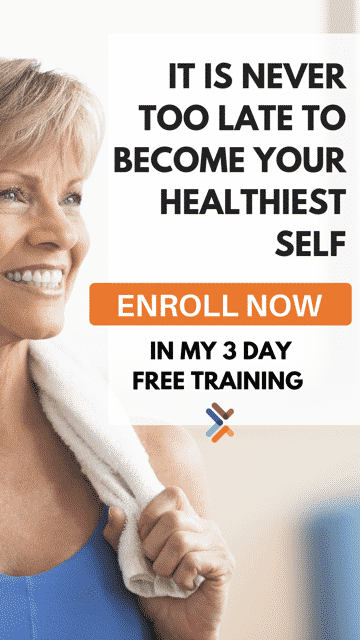 The material on this site may not be reproduced, distributed, transmitted, cached or otherwise used, except as expressly permitted in writing by Get Healthy U.